I posted back in November 2012 on Advocate-General Sharpston’s opinion in this important case concerning the Habitats Directive. John Jolliffe from 1COR will be covering the judgment of the CJEU soon, but in the interim it may be worth setting out key passages from the judgment. As will be seen from them, the Court broadly followed the approach taken by the AG – though any first-time student of this area of law would do better to start with the AG’s opinion, rather than with the rather bland text of the judgment. Article 6(3) of [the Directive] must be interpreted as meaning that a plan or project not directly connected with or necessary to the management of a site will adversely affect the integrity of that site if it is liable to prevent the lasting preservation of the constitutive characteristics of the site that are connected to the presence of a priority natural habitat whose conservation was the objective justifying the designation of the site in the list of sites of Community importance, in accordance with the directive. The precautionary principle should be applied for the purposes of that appraisal. 45. ……the Lough Corrib SCI was designated as a site hosting a priority habitat type because, in particular, of the presence in that site of limestone pavement, a natural resource which, once destroyed, cannot be replaced. 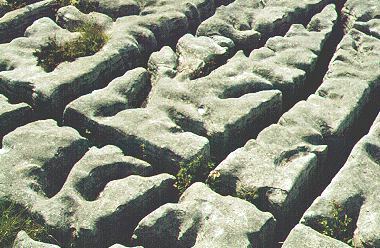 Having regard to the criteria referred to above, the conservation objective thus corresponds to maintenance at a favourable conservation status of that site’s constitutive characteristics, namely the presence of limestone pavement. 46. Consequently, if, after an appropriate assessment… the competent national authority concludes that that plan or project will lead to the lasting and irreparable loss of the whole or part of a priority natural habitat type whose conservation was the objective that justified the designation of the site concerned as an SCI, the view should be taken that such a plan or project will adversely affect the integrity of that site . 47. In those circumstances, that plan or project cannot be authorised on the basis of Article 6(3) of the Habitats Directive. What did the German Chancellor say to the EU Commission to get this factory built? What have the Inuits got to do with keeping EU law in check?